On March 4, 1953, a civilian C-46 cargo plane owned by Slick Airways, (N4717N), took off from Idlewild (Kennedy) Airport in New York City bound for Bradley International Airport. (Bradley is on the town lines of East Granby and Windsor Locks Connecticut.) The aircraft was carrying radio recordings for Armed Forces Radio Service. As the C-46 approached for landing in a driving rain storm it crashed and exploded in a wooded area of East Granby, about 1.6 miles southwest of the runway, between South Main St. and Seymour Rd. Both crewmen aboard were killed. The dead were identified as Jefferson R. Elliott, 32, of Des Plaines, Ill., and John Bielak, 37, of Elmhurst, Ill. 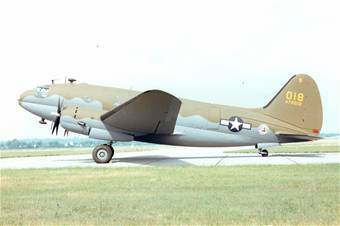 The aircraft involved in the accident was built for the U.S. Army Air Force during WWII, (Ser. #2509). 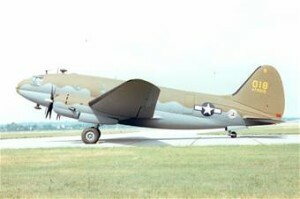 It was acquired by Slick Airways as surplus in July of 1947 and converted for civil use. At the time of the accident it had 14,310 flying hours.